A Special Session on NanoHybrids will take place on the third day of the PARTEC 2019, April 11, 2019. NanoHybrids partners will present the scientific conclusions of the project on organic and hybrid areogels, their production and application potential. NanoHybrids contributes to PARTEC with research on particle formation, pilot scale production processes. Modelling of the particles as well as process parameters and kinetics have been a significant builidng block to facilitate upscaling towards industrial processes. 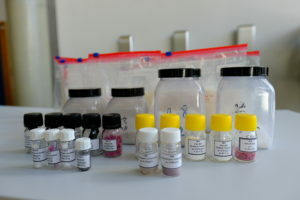 NanoHybrids will also be present at the POWTECH.